DESCRIPTION: Deep cleanses and refreshes. For oily skin. I am 100% free of sodium lauryl sulphate, parabens, petrochemicals, alcohol, pthalates, artificial fragrance and colour. I am a soap free cleanser that Gently sloughs away the day’s dirt, grime and makeup. I am a boon for oily and acne prone skin. Enriched with the powerful combination of antibacterial and antiseptic extracts of clove and spearmint, i help control the excess oil secretion from the skin. 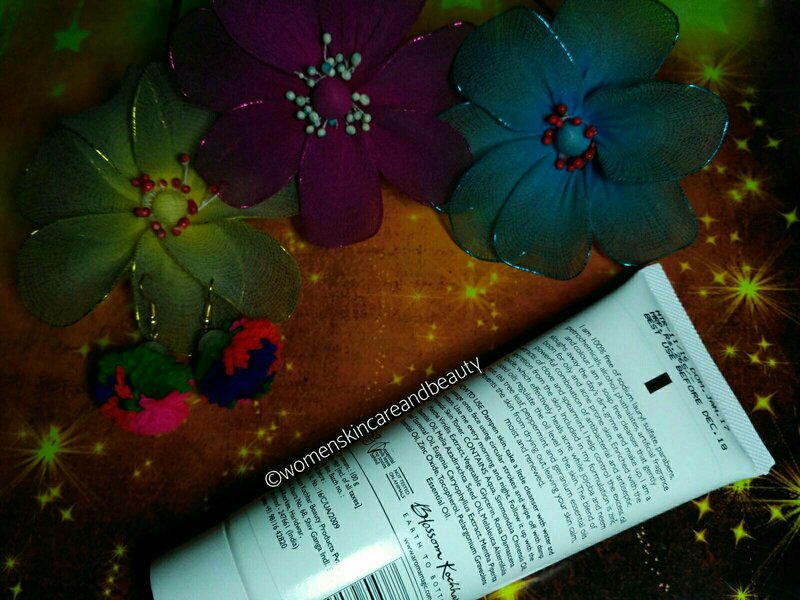 Included in my formulation is zinc oxide, which effectively heals acne while jojoba and neem seed oils regulate the oil level in the skin. The blend of rose, tea tree leaf, peppermint and geranium essential oils prevents the skin from drying out, leaving your skin calm, moist and renewed. HOW TO USE: Dampen skin, take a little cleanser with water and massage onto face using circular strokes and wipe off with damp cotton. Use me every morning and night. 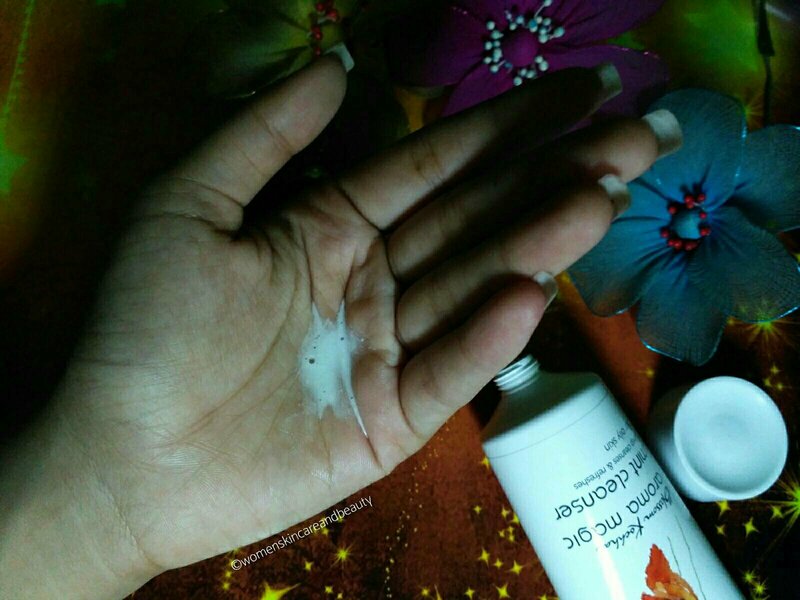 Follow it up with the Aromatic skin toner. Aqua, simmondsia chinensis oil, mentha viridis extract, vegetable glycerin, rosa damascena essential oil, melia azadirachta seed oil, Melaleuca alternifolia leaf essential oil, eugenia caryophyllus extract, mentha piperita essential oil, zinc oxide, tocopheryl, pelargonium graveolens essential oil. COST: INR 265 for 100g. It claims to clean the face of “MakeUp” in general, but I am not sure if it would be able to remove heavy makeup well, because it takes a lot of time to remove even the light makeup using this Cleanser! 2. Easily available and travel friendly! Buy it from here! 3. Cleans the skin effectively of all the oil, dirt and grime. 4. Removes light makeup easily. 5. Didn’t break me out. 7. Very refreshing to the skin and senses. 8. Doesn’t dry out the skin. 9. Paraben, SLS and cruelty free! 1. Not sure if it would be able to remove heavy makeup well. 2. Doesn’t heal the acne as claimed. 3. Regulates the sebum secretion only to a small extent. Looks so promising.. Really wish to try this face wash. I too have used the cleanser when it used to come in a tub. Summers are perfect for this cleanser. If it’s chemicals free, soothes the acne, clears the skin deeply and also is not very expensive what else a consumer asks for. thank you for bringing such a product to us. I love mint in my face products, love the tingling and fresh feeling! Would love to try it out! Mint cleanser! Interesting. I can already feel the tingling and freshness through your post. Minty smell should be refreshing as you said. It looks good with jojoba and neem seed oil. Would have been a good buy if it could remove the acne problem. 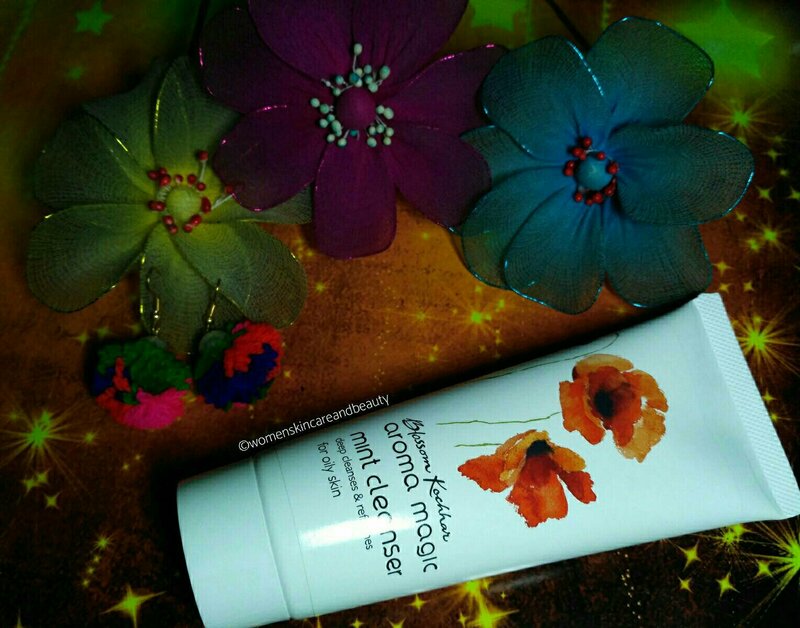 The acne is the main problem.. and it does nothing except just soothing it..
Mint cleanser must be really refreshing….. Mrinal I suggest u to try der brightening facial range…its really good one…seems u love aroma magic products alot…. Yes they work great on my skin.. i would definitely try out the facial range! This cleanser sounds great. The goodness of mint makes it more important for sensitive skin people like me. would surely give it a try. The soothing part is definitely very appealing. However, it would have been perfect if it helped control sebum well. True that.. i too wanted something to control sebum!